Made of Muslin. Approximately 10" x 16". Made of sandcastle. Approximately 7.5" x 10.5". 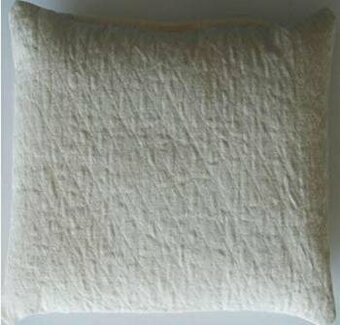 Fluffy, plump 10" square pillow forms perfect for inserting into your finished pillows. 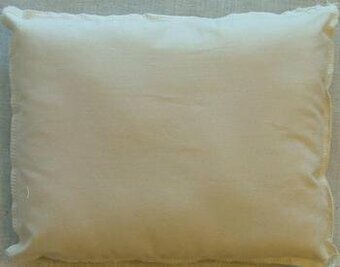 180 thread count covering of 65% poly/35% cotton filled with 100% pure polyester fiberfill. Non-allergenic. Machine washable. 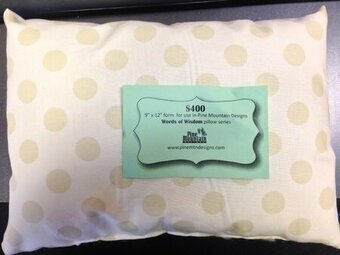 9" x 12" pillow form for use with Pine Mountain Designs. 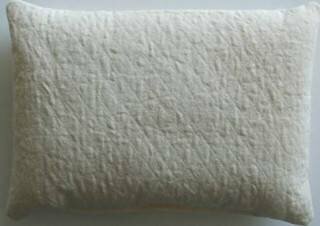 Made of muslin. Approximately 9" x 11". For use with Flange pillow kits. 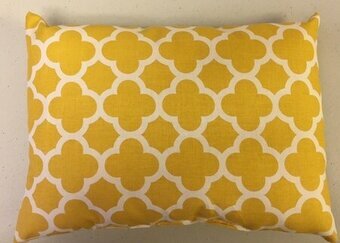 This pillow form is meant to be used specifically with kits from Pine Mountain Designs. 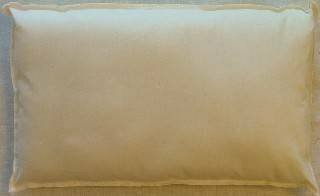 Quilted pillow form. Approximately 11" x 11".